Much-Awaited Hindi movie Kalank is all set to release on 17th April 2019 on the occasion of Mahavir Jayanti. Since Kalank will have a midweek release, the makers have decided to start the advance booking on 11 April 2019, exactly one week before its worldwide release. 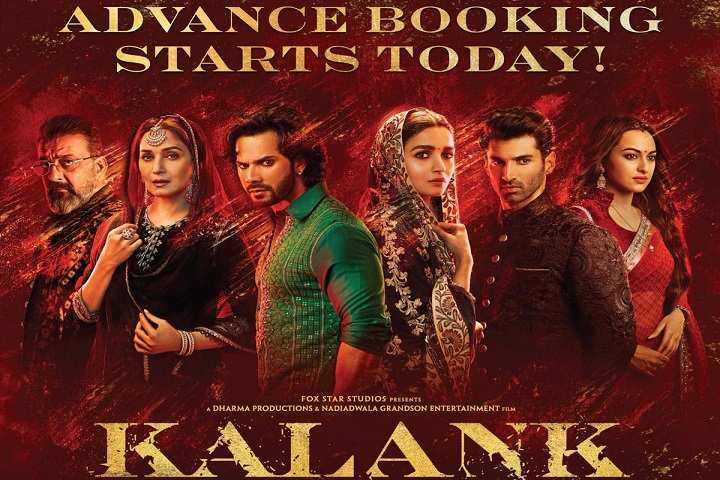 Kalank advance booking report is good. Kalank Opening Day Box Office collection is eyeing on 20-22 Cr.